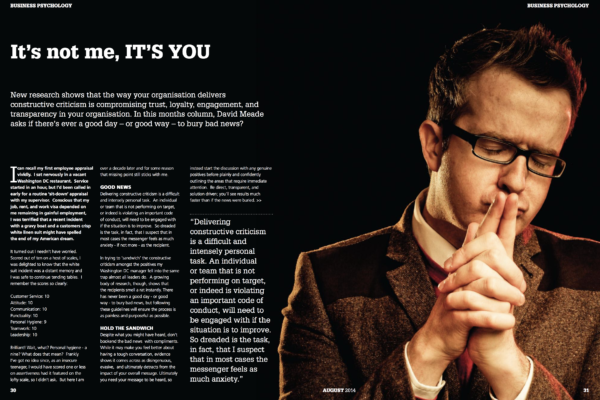 This article gives up to date information on the psychology of sales. 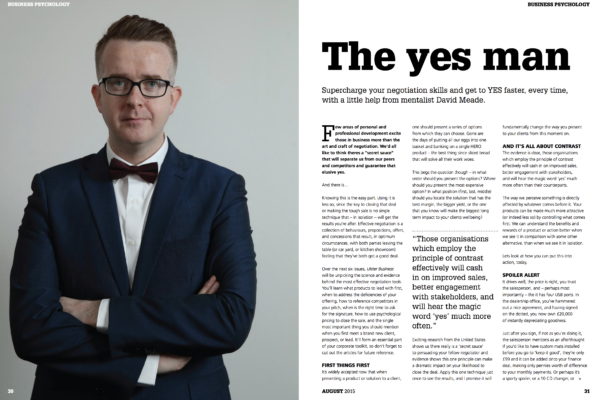 Supercharge your negotiation skills and get to YES fast, every time with a little help from David Meade. 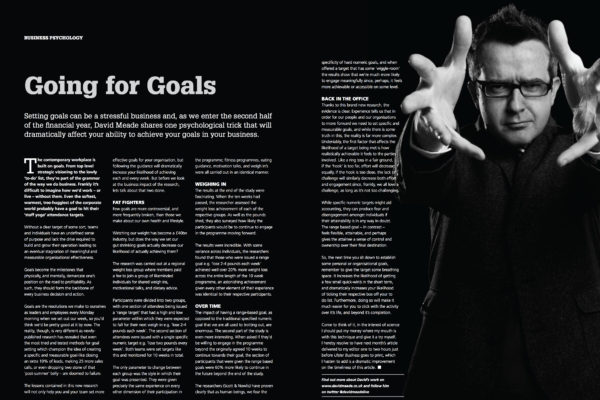 Setting goals can be stressful business, David shares a psychological trick that will dramatically affect your ability to achieve your goals in your business. New research shows that the way your organsiation delivers constructive criticism is compromising trust, loyalty, engagement and transparency in your organisation. In this article, he questions whether there’s ever a good day – or good way – to bury bad news? 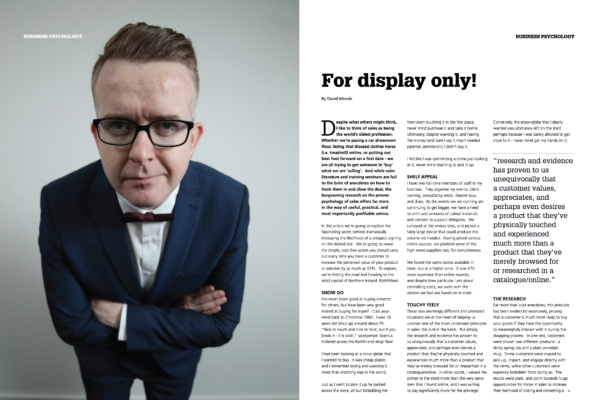 David looks at how some simple and clever techniques can be used to boost your bottom line. 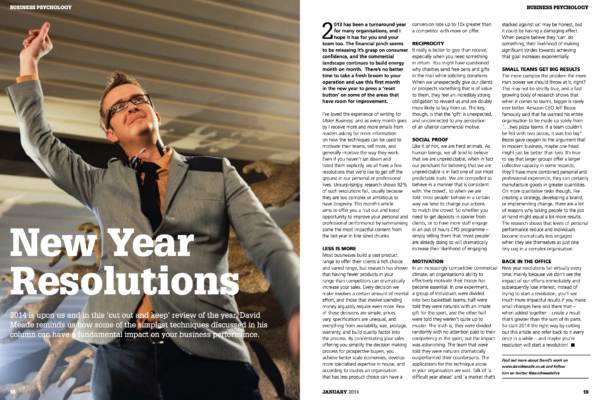 David gives some top tips and asks some questions to get organisations thinking about how to be more effective in the coming year.